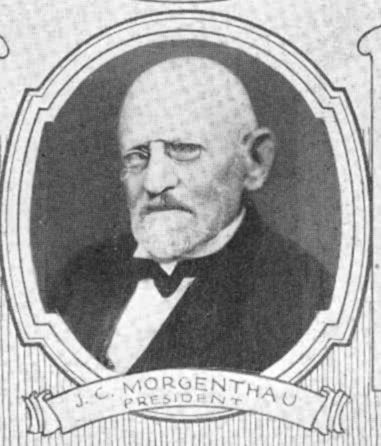 Long before there was a Robert A. Siegel or a Henry Revell Harmer there was Julius Caesar Morgenthau, better known to philatelic history as J.C. Morganthau, founder and owner from 1905 until his death of the J.C. Morgenthau Company, the premier philatelic auction house in America during that period. 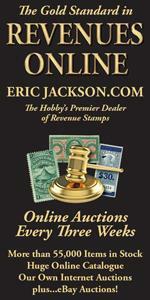 During the 25 years under his direction, his firm held, without doubt, the most important high-level philatelic auctions on this side of the Atlantic Ocean. Born in Chicago in 1858, Morgenthau founded his first stamp company in 1893 in that city. He finally moved to Nassau Street in New York City in 1905 when it was becoming the “capital” of American stamp dealing. His acumen and high integrity business practices soon made him a legend among his peers. Some of the greatest names in stamp dealing got their start under his tutelage—from George B. Sloane to J.J. Klemann. Most notable were the eleven auction sales of a large part of the world-famous collection of George H. Worthington of Cleveland, Ohio. Another notable collection sold (in four parts) was that of the French collector, Brunet de l’Argentiére. Both these collections had been purchased privately in 1917 by Alfred F. Lichtenstein who kept portions and turned the rest over to Morgenthau for public sale. Morgenthau sold many other important collections, notably those of William Wolters and John H. Seybold. Seybold’s collection was almost entirely of stamps on cover, one of the first such. For this three part sale, Morgenthau issued a booklet of photographs, a first in American philately for an auction sale. Over its 25-year lifetime, the firm’s sales totalled almost four million dollars - a remarkable record for its time. Like many dealers of his era, he was also heavily involved on the collector side of the hobby. For instance, he served as one of the early presidents of the Collectors Club of New York, and also as president of both of America’s first two international philatelic exhibitions—in 1913 and 1926. He was also a members of the American Philatelic Society’s expertizing committee, a role he cherished. Just as Nassau Street was becoming a world mecca for the serious and not so serious philatelist, Julius C. Morgenthau passed away in 1929. When the American Philatelic Society inducted him into their Hall of Fame in 1978, many applauded, but also wondered what took so long. Sometimes the early greats of the hobby need to be newly recognized.